New treatments to remove cells that contain cancer have been evolving and developing rapidly over recent years in light of the increased pressure of scientists to find new solutions to treating and curing cancer. However, Mohs surgery is a surgical technique that has stood the test of time since the 1930s and become one of the most effective solutions to treat skin cancer. Mohs surgery is a technique developed by Frederick Mohs, developed to treat a wide variety of skin cancer conditions. It has been cited by many that it is the most effective method of treating basal cell carcinomas and squamous cell carcinomas which are two of the most common types of skin cancer. The Mohs treatment targets the cancerous area by progressively removing layers of cancerous skin, thus sparing as much healthy skin as possible. This procedure is provenly effective in the treatment of skin cancer and can be performed anywhere on the body. The treatment usually takes around one to three hours in total. The surgery is non-invasive and relatively pain-free. 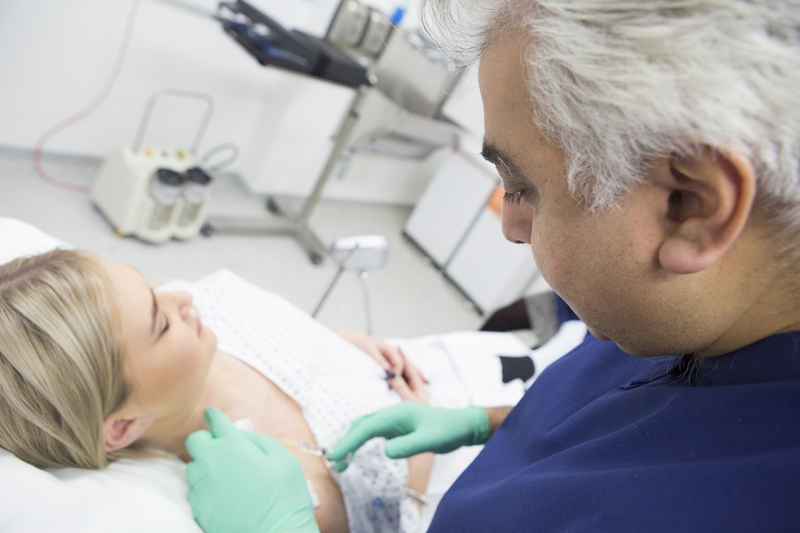 You will be required to take a local anesthetic around the treated area in order to relieve yourself of any discomfort. The process involves a doctor removing layer upon layer of skin from the cancerous area until all signs of cancer cells are gone. Each layer of skin is analysed in a lab whilst you wait, this doesn’t take long and the doctor will notify you if you need more cancerous tissue removed or if you’re now free from the cancerous cells. Whilst the surgery typically only take up to three hours, it can take longer dependent on the size of the area infected. Therefore, it is advised that you will need to take a day out of your schedule to work around the treatment. Following the treatment you will be required to visit for follow-up appointments to check on your condition and make sure the cancerous cells have not appeared. Mohs surgery, also known as chemosurgery, is a technique that attempts to control common types of skin cancer including: basal cell carcinomas, squamous cell carcinomas and melanomas. Mohs is a very precise surgical technique using a micrographic technique; horizontal pieces of tissue are cut from the bottom layer of the tumour and immediately stained and examined under a microscope. The technique is repeated until no skin cancer cells can be visualised in the sample. Mohs surgery is used primarily for the treatment of head and neck basal and squamous cell skin cancers, however it is known to be useful for the treatment of many different types of skin cancer. Mohs is particularly useful when the skin cancer is situated in a difficult area such as the nose, lips, ears, hands or feet. 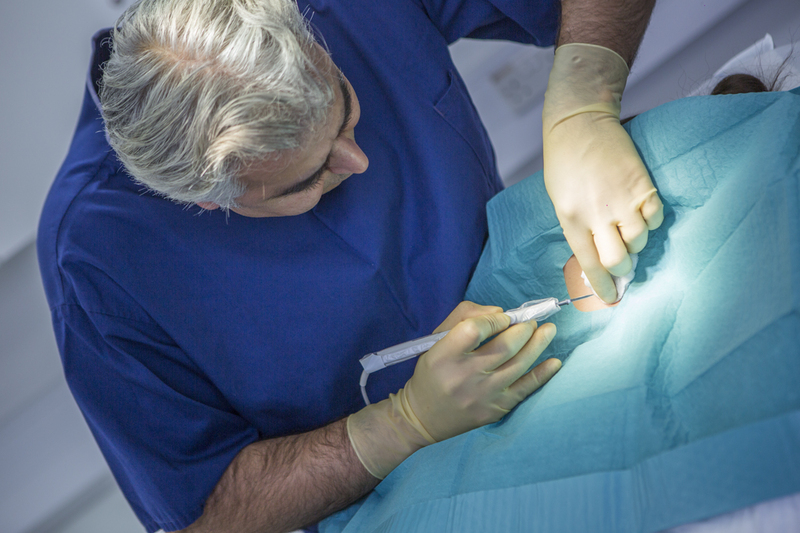 Mohs surgery will often be performed under local anaesthetic, so it does not usually require an overnight stay in hospital and avoids many of the complications inflicted as a result of general anaesthetic. Depending on the size of your cancerous lesion that requires treatment, you may require repeat procedures to assure the cancerous cells within the area are completely removed. In extreme cases, a skin graft may be required and this will add to the length of surgery, and of course the severity of your treatment. 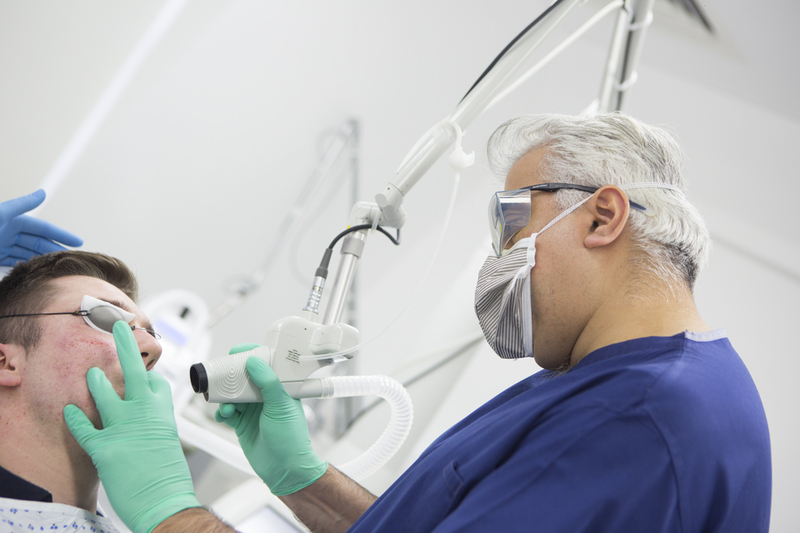 Dr Firas Al-Niaimi will discuss with you how long your particular treatment is likely to take during an initial consultation in which you will be fully assessed. Mohs is a relatively safe form of cancer surgery, however there are rare and uncommon complications which have been known to occur. Side effects may include scarring at the site of removal (although the scar is unlikely to be obvious and will fade over time). Side effects may also include: bruising, bleeding, wound infection or nerve damage. What is the recovery time and aftercare process associated with Mohs Surgery? The recovery time will depend on the size and the location of the affected lesion. Dr Al-Niaimi will always provide you with a comprehensive aftercare plan, and with this procedure you are unlikely to need much time of work. Your comfort during the healing process can usually be helped with regular, over-the-counter painkillers; Dr Al-Niaimi and his experienced team will be happy to advise you with any questions you may have during your recovery process. How many treatment sessions will I need with Mohs Surgery? If your cancer lesion is particularly large or advanced, then it is possible that you will need more layers of surgery and may have to return for repeat procedures. Dr Al-Niaimi will discuss with you how many procedures you are likely to need once you have been examined during an initial consultation. If skin cancers are caught earlier, they are often much easier to treat and will cause a lesser impact on your day-to-day life. How do I know if I need Mohs Surgery? If you have a mole that has changed in colour, size or texture, or if you have developed an abnormal skin lesion then you should book a skin health assessment or a ‘mole check’ with Dr Firas Al-Niaimi. The results from your assessment will determine what treatment, if any, that you may require. It is always better to get checked at the earliest signs of concern, either to achieve peace-of-mind, or to spot any cancerous lesions as early as possible.